The noise of people approaching disturbed the stag and he fled deeper into the forest. There were several stags at the party, so it was a good place to look for an unattached man. Mark couldn't get a date for the prom, so he decided to go stag. The club is holding a stag dinner—no women allowed. My brothers are going stag to the party, as usual; they never can get dates. Stags have antlers, symmetrical structures on their heads, which they use as weapons, as well as to attract females (the larger the antlers, the more attractive a doe finds a stag). Many people confuse antlers with horns. While horns are made of bone, and are permanent, antlers are made of cartilage. In temperate zones, many species shed their antlers and grown new ones every year. 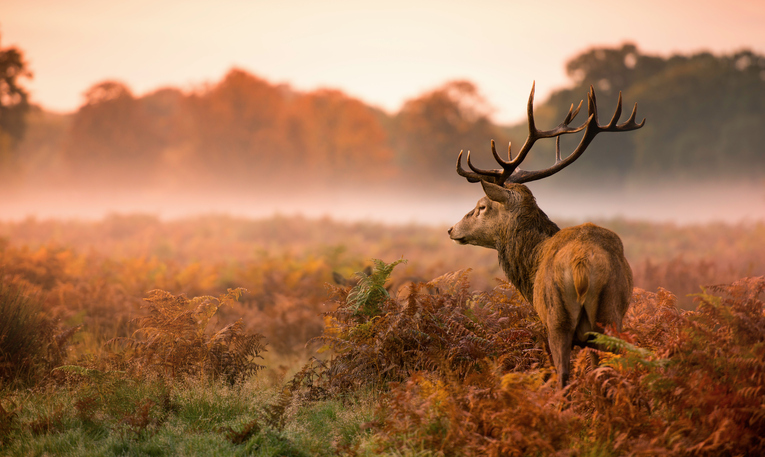 Stag dates back to the mid 12th century in the form of the Old English stagga, which became the Middle English stagge. It can be traced back to the Proto-Germanic word stag, which probably meant ‘male animal in its prime,’ and the Proto-Indo-European root stegh-, which meant ‘to prick or sting.’ It is related to the Old Norse steggi, steggr, which was used of male foxes, tomcats, birds and dragons, the North-English dialect steg (gander), and the Icelandic steggur (male fox, tomcat). The adjective meaning ‘for or made up of males only,’ and its related noun and verb, date back to the mid-19th century, and first appeared in American slang.